JACKSONVILLE, Fla. (Sept. 15, 2015) – The Ritz Theatre and Museum and SMG have partnered with Jacksonville PorchFest to provide the headline act for the popular music festival’s second-annual event this November. New Orleans American funk rock band “Flow Tribe” will headline PorchFest, to be held November 7. Organized by the Springfield Preservation and Revitalization Council, Inc. (SPAR), this is the second year for the free festival where local musicians perform on the porches of historic Springfield homes. The inaugural event in 2014 was a huge success, with more than 4,000 attendees filling the streets of historic Springfield in the first-of-its-kind event for Jacksonville. Founded in 2004 and known for its high-energy show, Flow Tribe was featured in 2010 on MTV’s The Real World: New Orleans. 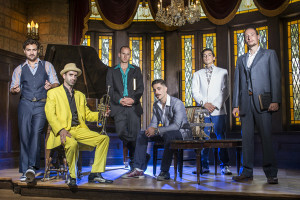 The band has played the New Orleans Jazz and Heritage Festival five years running, including the Acura Main Stage in 2014 and 2015. The band brings a traveling street parade with them to every concert. 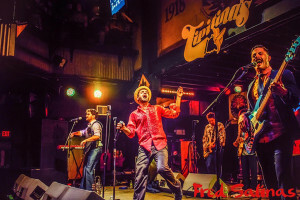 Its six seasoned performers have shared the stage with performers such as Trombone Shorty, Juvenile and Bill Summers. 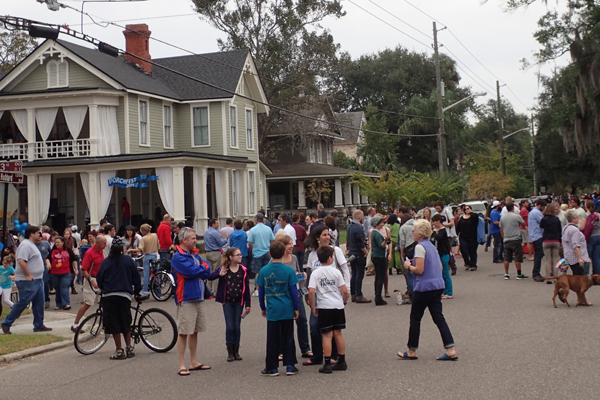 To learn more about Jacksonville PorchFest 2015, visit: www.jacksonvilleporchfest.org. To learn more about Flow Tribe, visit: www.flowtribe.com. For more information, call the Ritz at 904-807-2010 or visit: www.ritzjacksonville.com and www.jaxevents.com to see upcoming shows. The Ritz Theatre and Museum is located in downtown Jacksonville at 829 North Davis Street.